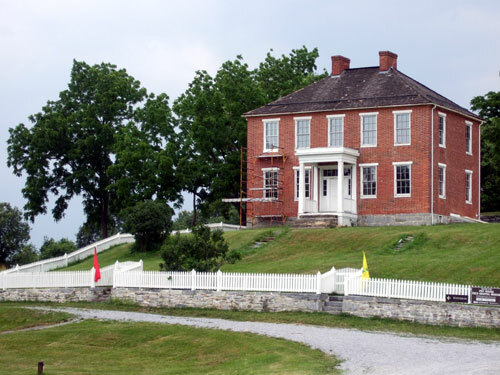 When I was a kid, I attended a summer camp perched on a cliff above the Potomac River and the Chesapeake & Ohio Canal, and a short hike away from Harpers Ferry. 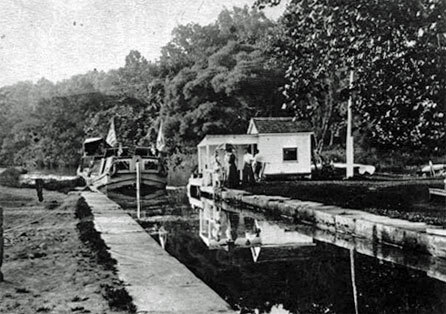 Both the C & O Canal and Harpers Ferry are National Historical Parks. As soon as I was old enough, I became an employee at the camp. During those years I walked hundreds of miles on the canal towpath, canoed the Potomac and Shenandoah Rivers, and visited Harpers Ferry many, many times. 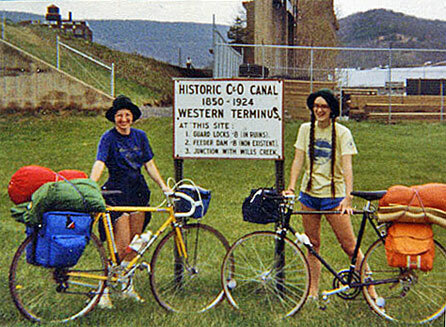 While I was in college, my friend Ruth and I decided to bike the entire C & O Canal Towpath. We started at the western terminus in Cumberland, Maryland. It rained so much that spring that many parts of the towpath were flooded. That’s me, trying to figure out how to get around one of the flooded areas. We had some challenges, but we finally made it to Washington D.C., after pedaling 183 miles! After I moved to Wisconsin in 1982, I revisited in my imagination the area I loved so much. As I worked on The Night Riders of Harpers Ferry I may have been sitting in a Wisconsin farmhouse on a wintry night, but in my mind I was back roaming through western Maryland, Virginia, and West Virginia. Lots of historic structures—and some ruins—still stand along the towpath. 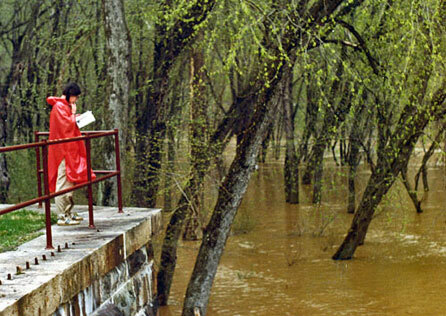 I’d always enjoyed imagining the lives of people who lived, worked, and traveled along the C & O Canal. I created the character of Mahalia, a young woman responsible for tending a lock, so I could share some of that fascinating history. 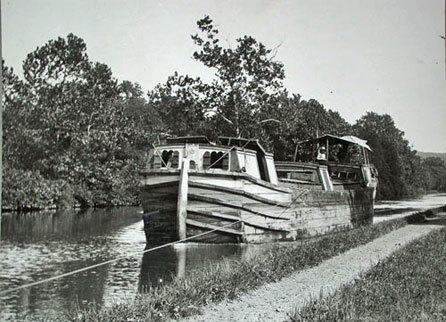 Here you can get a good idea of what canal boats looked like. Notice the towline? The mules pulling the boat are out of sight. In The Night Riders of Harpers Ferry, Mahalia tended a lock like this one. 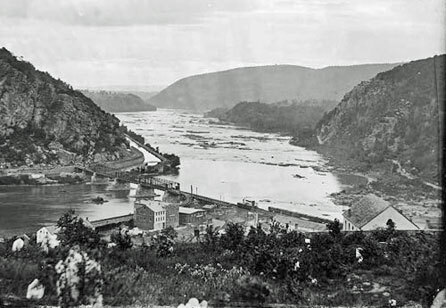 The photograph below, taken from Harpers Ferry during the Civil War, shows the Potomac River and Maryland Heights. 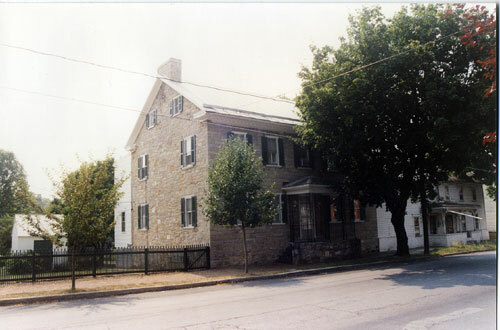 The Salty Dog Tavern mentioned in The Night Riders of Harpers Ferry is among the buildings left of center, at the foot of the cliff. The photo below was taken on the hill behind Harpers Ferry. 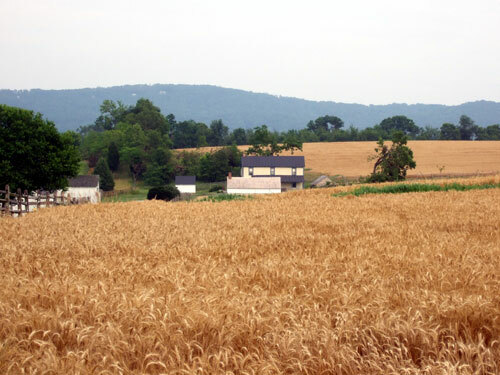 The town is in the center of the photograph. The Shenandoah River (right) and the Potomac River (left) converge below the town and flow on south. Maryland Heights is on the left. I also wanted to include some of the drama that unfolded at Harpers Ferry during the Civil War, so I created a young Yankee cavalryman named Solomon. 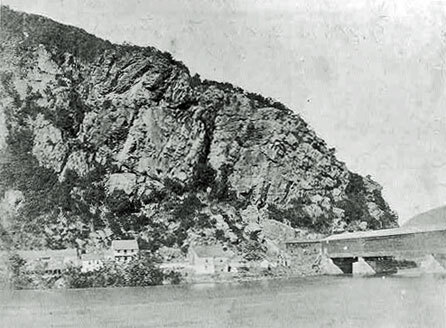 In 1862, Confederates took the high ground around Harpers Ferry, trapping the Yankee force stationed there. What happened next was one of the most daring adventures of the war. As so often is the case in my books, real events inspired the plot. 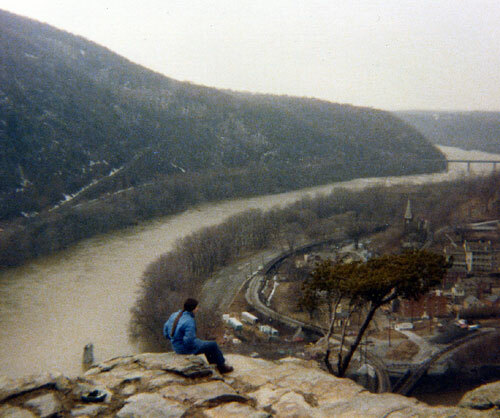 This photo was taken from the cliffs of Maryland Heights, looking down at Harpers Ferry. 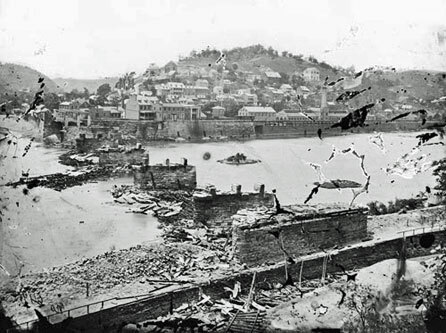 It clearly shows some of the destruction caused by the Civil War. This photo was also taken from Maryland Heights, just from a slightly different angle—and over a century later! That’s me, sometime in the late 1970s. The Shenandoah River and Loudon Heights are in the left side of the picture. 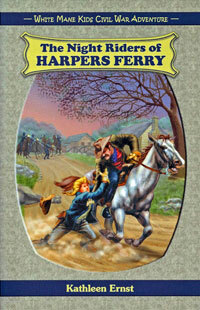 The Night Riders of Harpers Ferry was not the first novel I wrote, but it was the first novel I ever had published, so it will always be special to me! 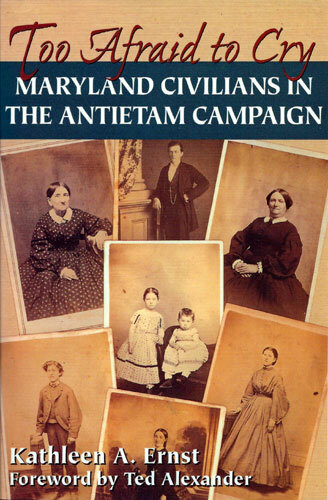 You can see more historic photos in the book itself, and on an earlier blog post about the canal. Nothing beats exploring in person, though. If you’re ever in the area, be sure to visit Harpers Ferry and take a stroll on the C & O Canal! 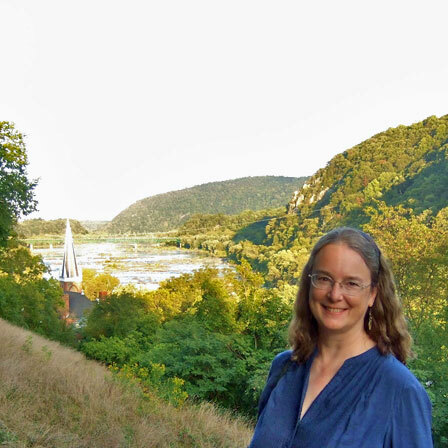 PS – In 2012, I was invited to speak at Harpers Ferry National Historical Park as part of the commemoration of the Sesquicentennial of the Civil War’s 1862 campaign. It was a joy to be back in in the park, and one of the proudest moments of my life.